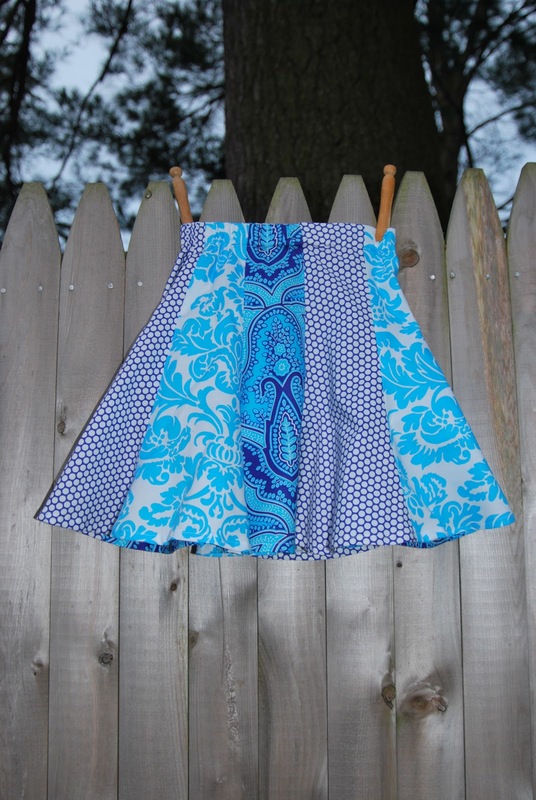 Just wanted to quickly share the my second version of Indygo Junction's Girly Gored Skirt. I made this one entirely from Jennifer Paganelli Queen Street fabrics. (Which by the way...are TO DIE FOR). This one came together even faster. Now I have two friends whose girls are in school together who get to twirl the day away. Can't say enough good stuff about this pattern.